Below are Downers Grove Animal Hospital Testimonials and reviews from DemandForce, Google, and Yelp! Awesome service, compassion, care and also prompt response time. The staff are ALWAYS compassionate and caring. The staff were friendly and easy to talk to. Zoey was treated well and she was happy when we picked her up. Coming to DG Animal Hospital is always a pleasant experience. From Dr. Robert Merkin, to the assistants, everyone is kind. Our care is always exceptional. I feel heard with any concerns and the medications can be refilled on short notice. I’d recommend DG Animal Hospital to anyone in need of a veterinarian. I’ve always been happy with the service that I’ve received for my pets at your facility. Everyone is very Friendly! The Vet Put us at ease by clearly explaining what he thought Charlie was going through. We appreciate the staff and all they do! I am so happy we were referred to this you guys by the West Suburban Humane Society. THANK YOU! The women at the front desk are always professional, pleasant and courteous.They are always go above and beyond being helpful and seem genuinely happy to see our dog Cowboy. The Doctors are also very good with treating and handling the dog. The environment helps relieve the stress of Cowboy’s anticipated fear of visiting the facility. Thanks Downers Grove Animal Hospital. Gary had hair cut. He was a real mess and had to be cut short. No real happy with the way tail was cut. Also ears are shabby. Peale are supper. We recently moved to Downers Grove and took our dog to Downers Grove Animal Hospital initially for vaccines. They were very nice, professional, and the facility was spotless and modern. Shortly after that our dog developed a hematoma in her ear which required surgery. Dr. Max performed the surgery and we have followed up with Dr. Graham. Our dog is doing really well and gets the stitches out next week. DGAH, its veteranarians, and staff exceeded our expectations. We have been taking our dogs to DGAH for the past 15 yrs. I’ve always felt I received the best care possible for them,the drs. are very informative and skilled.My current crew consists of 4 dogs,prior to them I had a wonderful dog that battled liver cancer,I received the best care and guidance in her treatment and we were able to have her a full year longer with quality health until the cancer finally took her.I like the fact that you can get your questions answered in terms the average person can understand. The staff at the front desk are outstanding,always ready to help w/a smile on their face and compassion in their hearts!I have piece of mind when I go there because I know they will get quality care. I have both a dog and cat. Service was very good in regard to explaining what was going on re my particular situations. Staff caring and friendly. Doctors very good. The facility is extremely clean. Your pets are in good hands here. I have been taking my animals to Downers Grove Animal Hospital for close to 40 years! I have always been satisfied with the care my animals have received. My animals always board there as well and I can have a relaxed trip, knowing my cat or dog is get top-notch care. Dr Merkin took the time to thoroughly discuss our situation and several treatment options. He and the team were very friendly and took great care of our kitty! Our family has been bringing our dogs to the Downers Grove Animal Hospital for 15 years, actually more if you count husband’s dog as a child for 30 years and will never change vets! Plus we have been owned by a difficult breed for the last 15 years – Bulldogs that tend to be special cases for everything and the vets and vet techs at DG Animal Hospital never skip a beat. Not only have we had the best vet care, we have boarded our dogs there, had them groomed and joined a training class and loved all the services. We are always recognized by the staff even when we cross paths outside the office (e.g. dog park). We have recommended anyone in the area to this practice. They explain things carefully, answer all your questions and give you prices up front. And they hold your hand when you have to make that decision. No better vet service in the area! Dr Max and has staff are nothing but amazing! I came to Dr. Max with my 3 year old Rotty Roxy who had a torn ACL for a second opinion. Dr. Max recommended a course of treatment that was within my budget and explained everything in easy to understand English in a no pressure way. I choose to board Roxy for 5 days after her surgery due needing to be out of town. The staff was wonderful in answering my daily calls, they took amazing care of her as though she was their own and she loved going there. The only word of caution is you will get spoiled by the staff there! They take such great care of the dogs and their human companions. The docs and staff are awesome and compassionate. I’ve been coming to the DG Amimal Hospital for 25+ years. The care provided to your animals is simply outstanding. My husband and I picked up a stray kitten and brought him here to get checked out. Since it was our first time ever with a pet the Dr was incredibly thorough. He explained the responsibility that would come with having such a young kitten that was feral. We ended up dropping him at west suburban humane society. Everyone in the office from the moment we walked in were super nice and it was a great experience. I have recommended them now to a few people. And we will continue to come here when we do decide to bring a pet into our family. I have a border collie with Addison’s Disease and every now and then he needs extra special attention in between his regularly scheduled injections. Dr. Bob Merkin is very sympathetic to the high expenses that come along with an Addisonian dog. He never pushes tests when he already knows what the test will tell him. I am so appreciative of his honesty and compassion with my dog. The Vet Techs are also phenomenal. They always greet my dog and I by name and come up and give some nice scratches before we are seen by the vet. Highly recommend!! Well, we saw another kitten that needed a home and sure enough it was ours! Even though rescue shelters provide you with a free vet visit we like all of our little guys to go to the same doctors. When we moved to this area we had pets that really needed care(We had just moved back from three years in India.). 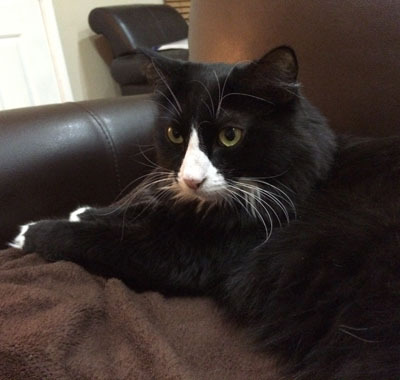 Sadly one of our first encounters with DGAH was to have a very elderly cat euthanized. Since then we have gone through tragic experiences and routine care with the staff and doctors. We have been extremely pleased with the care and compassion shown to us. I like that we are given treatment options and have a voice in our pets’ care. We have had to make decisions both financial,practical and humane. We have never felt pressured, only guided in our decision making. I find the doctors to be clinical when necessary and compassionate when we are hurting. So today a much healthier little kitten came home to us. She was pretty sick when we adopted her but didn’t notice until we brought her home. Maybe the initial care she received at the shelter wasn’t what she needed but the Drs. Merkin embraced her care and now a once sick kitten is annoying my dog! Thank you! We are greateful that you are always there when we need you. The staff at DGAH were amazing. They took excellent care of our dog Moli when she ingested some dangerous pills and her regular vet wasn’t open. In the emergency they remained calm and explained exactly what they were going to do to help her. They kept her overnight for 2 nights and took great care of her. Dr. Graham was nice and informative. He definitely seems to be more of an animal person than a people person, he was kind of short with me but seemed very passionate about helping my dog and giving her the best care possible. He explained everything to me and answered all of mine and my mom’s questions. He called when he said he would to update us on Moli’s condition. He even explained that he’d be gone for the weekend but that he had talked to his brother Dr. Max and had filled him in on Moli’s information. Dr. Max also called to update me on Moli’s condition and answered all my questions, and from our phone conversations he sounded very nice. The staff was very nice. They were helpful and answered any questions I had. They even let me come and visit Moli one afternoon which I can’t imagine any other place would do. One down side was that I wasn’t notified when Moli vomited which was bothersome as I was told I’d be updated of any changes to her health both good an bad. Otherwise we had a great experience and everyone loved Moli 🙂 Thanks again DGAH for saving our girl!! Dr. Sharon Wehling gave me guidance and gave compassion to my 18 year old cat in his last year of life. I miss my furry friend but I know his life was better because of her care. I am grateful to her and staff for their kindness. When I brought my dog home he kept removing his bandages. I called Dr. Bob, and he met me in his office after hours, and on his day off just to change his bandages.He gave me his cell phone number and told me to call at anytime, even during the night if my dog removed his badages. Even though we had to put him down, I know that he received the best care possible. I have never met a vet that cared as much as Dr. Bob did. His staff was also vey helpful and friendly. 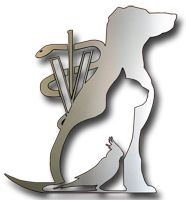 My experience with this vet clinic has been excellent and their prices are normal. My husband and I have been pet owners for many years and we recently had to have our shepherd mix put down. The doctor and all of the staff were very kind not only to our dog, but to us as well. They do care about the well being of the animal. Over the years we have used other clinics, so we know what to expect. I would recommend this clinic. Read more animal hospital reviews on Yelp!